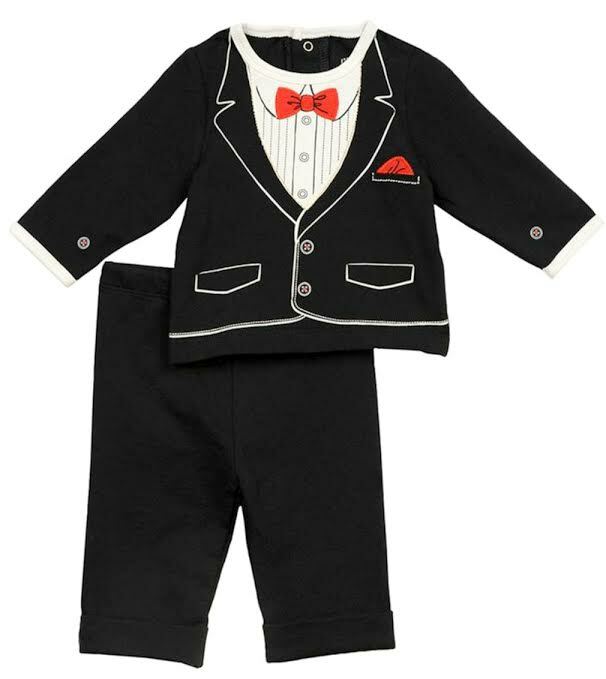 Your baby boy will look charming in this knit formal style tuxedo set adorned with printed tuxedo details and bow tie in red. Pull on elastic waist pants to match. In 100 percent cotton knit. Machine wash.